Climbing is not my forte. I’m scared of heights, not particularly strong and am prone to clumsiness. Climbing up a 20 foot wall seems to be the last thing I should attempt; but then I discovered Chelsea Clip n’ Climb, which is sort of like a mad hatters vision of what wall climbing should be. 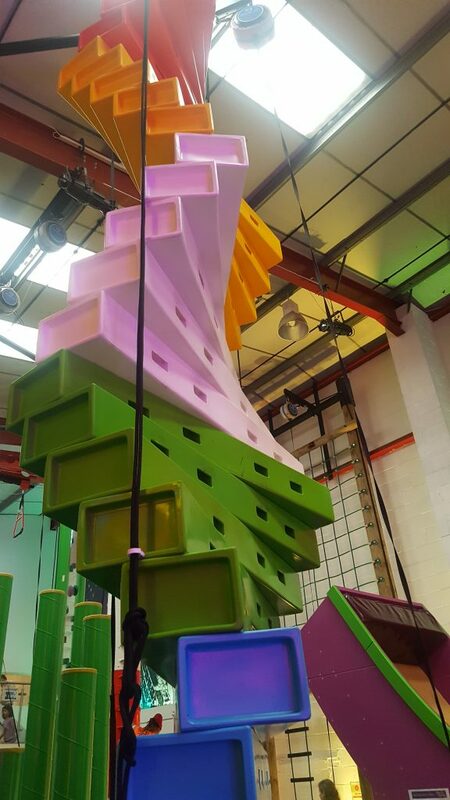 This colourful room instantly differentiates itself from the usual bland climbing centres that appear very serious and do all they can to replicate an outdoor rock face environment. Clip N’ Climb on the other hand has one objective, to make climbing fun for all. The centre is located about a 10 minute walk from Fulham Broadway station, behind the main road on what appears to be a small industrial estate. It’s very easy to find. You should arrive 10 minutes before your session which lasts about 90 minutes – 30 minutes for a safety briefing and to get you into your safety gear and 60 minutes of actual climbing. Once you’ve been buckled into your safety gear and told where all the fire exits are, you’re free to enter the main climbing room. The room itself isn’t massive, but it packs in approximately 20 different climbing walls. There are also several other special attractions which are added extras and require you to purchase separate tickets for each one. 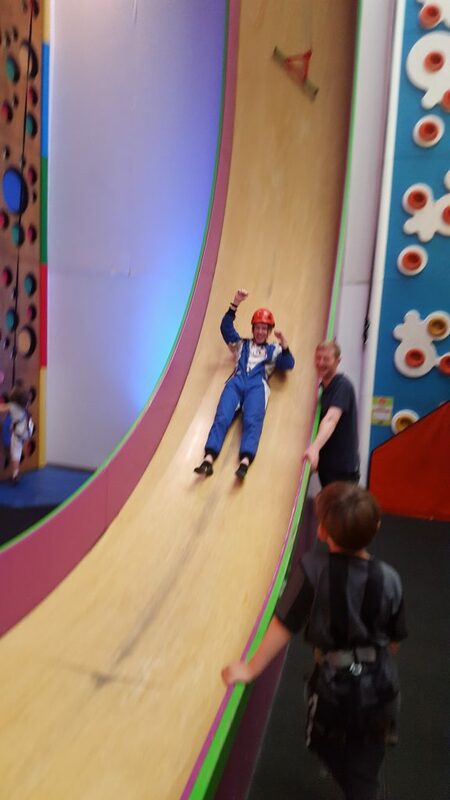 You don’t need to buy any tickets if you don’t want to but I recommend getting at least a few, I particularly recommend the giants vertical slide (the only thing I was brave enough to use). The special attractions cost £5 per person and entitle you to 2 go’s. Having a go on the ‘vertical slide’- One of the 3 special attractions. 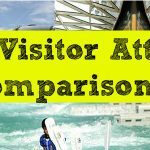 Even if you ignore the special attractions there is plenty to keep you busy. Each wall is unique and offers a different challenge. Some are much harder than others and some require a special technique to reach a decent height. Whilst you are free to use any of the climbing walls you must wait to be buckled into the safety harness and then wait to be unbuckled when you are done. Members of staff carry the required keys to do this so you may have to wait a while till someone is available. This is a mild inconvenience and can mean you waste a bit of time, but likely necessary given the dangers involved and the presence of young children. That’s also something I’d like to talk about, the kids. 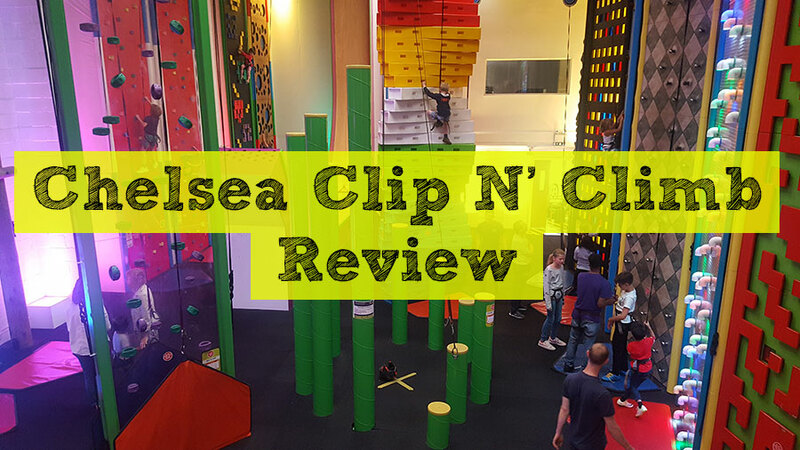 While this isn’t a climbing centre specifically for children it does undoubtedly attract a lot of kids who want to have a go at climbing in a less serious environment. On the day I visited my guest and I were the oldest by at least 15 years. Fortunately Chelsea Clip N Climb offer adult only sessions if you prefer to not be humiliated by 10 year olds who can out climb you with ease. In fact I think this would be a perfect activity for a stag do, hen do or corporate day out. Check on the website for details of adult only sessions. For parents looking for something fun, active and unique for their kids to do then I couldn’t think of anything better! Every child there seemed to be having a great time and most were climbing several times higher than me after 10 minutes. There is a rather nice cafe and waiting area for parents who need to stick around, you can also watch your kids from this mezzanine level and marvel at their climbing prowess. It’s fun, even if you are a terrible climber. As I suspected, I was absolutely awful at every single wall. The instructors were somewhat helpful, telling me to get to head height then jump off to increase my confidence, however they are busy and not available to give 1 on 1 tutoring for long. My companion on this trip was equally terrified of heights, so we tended to not push each other too much. We decided it was an accomplishment if we could get 4 feet off the ground. As the hour ticked on I did gain confidence that I wouldn’t fall to my death if I let go on of the wall and I did manage to climb my personal best towards the end. Of course I was instantly humiliated by an 8 year old girl abseiling down a neighbouring wall from 20 feet high. Even though I was awful, even though I’m terrified of heights and even if I only managed to barely get off the ground, I was sad when the session was over. Time had flew by and I realised I was having a lot of fun. 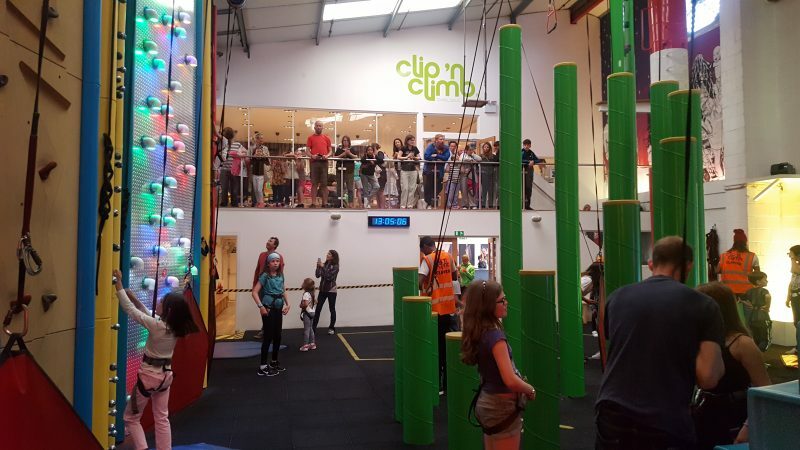 Chelsea Clip N Climb is certainly a unique day out and it may even introduce you to a new sport (did you know climbing will be in the Olympics in 2020?). At £19.50 for 16 and overs and £17.50 for 4-15 year olds, it isn’t the cheapest day out but still worth it for a one off experience that kids love and adults can get involved with too. This crazy climbing attraction is high energy, sometime terrifying but most of all a lot of fun. Kid's absolutely love it and there are adult only session for grown-up's who fancy a challenge (and a laugh). 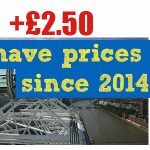 Have prices gone up or down at the most popular London attractions? Find out here.